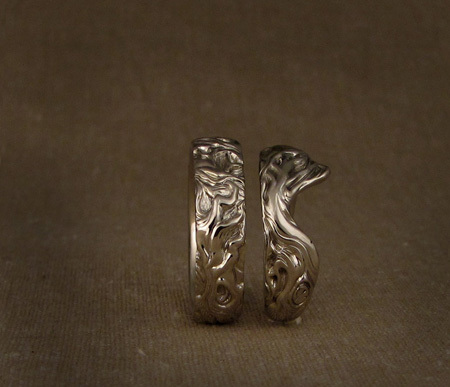 I love carving flowy convoluted designs and these were no exception. 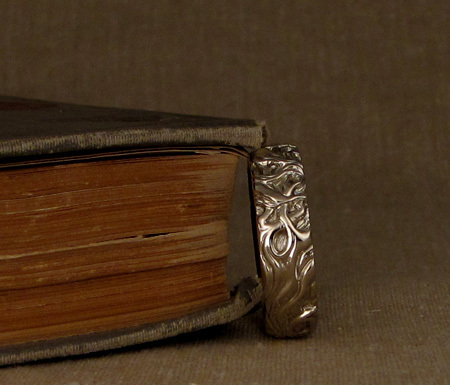 They are 14K white gold bands carved with a twisting old oak tree. Her ring is swooped just so to fit against her sapphire engagement ring. The tree carving is over around 2/3 the surface of the band, the bottom smooth. 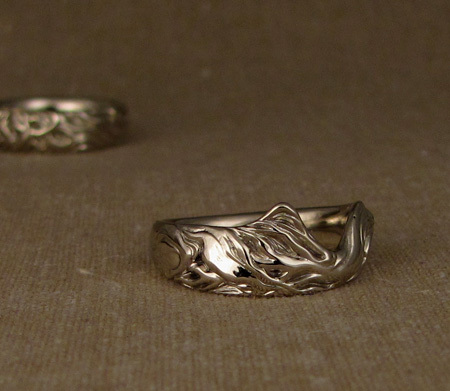 His ring is interesting in that it carved with two trees blending into each other at the top and bottom: Both bottoms originate at one end, then curve up their sides of the band, then the branches meet and mingle together at the top. 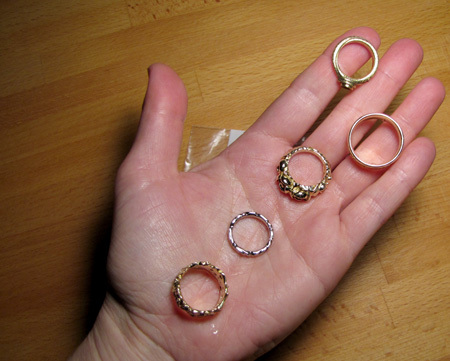 The ring is more abstract or concrete depending upon the angle you choose to view.